Chocolates are something that we all love, don't we? They make for such a versatile gift for any occasion. I LOVE chocolates. I mean, I am the type of person who can gobble down a big bar of chocolate in no time. It's embarrassing, I know, but I cannot help it (please tell me you guys also do it!!). Before moving forward, let me take a moment to introduce the new series on the blog where we will be talking about the products (or just about anything) that we are currently loving and it will be a little hatke from the reviews that we do, generally. So, today in the first post for the series, I will be talking about the chocolates that I purchased from Mishikrafts. So, I got two flavours which were namely plain dark chocolate and roasted almond dark chocolate. 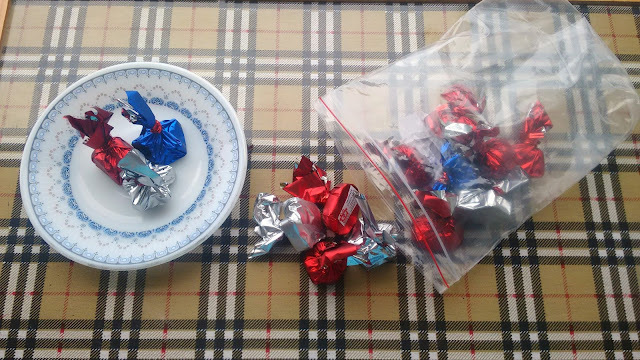 The chocolates came in a bite size in various shapes wrapped in silver foil because that helped (to an extent...shh) to keep my intake in check. I mean like I said earlier I can gobble down chocolates in the blink of an eye, so please don't judge, theek hai? If I had to describe these chocolates in a few words, I would say I absolutely loved them! I mean they were not too bitter and tasted much better than the commercial ones. The roasted almond chocolate was a tad better than the plain one in my opinion. 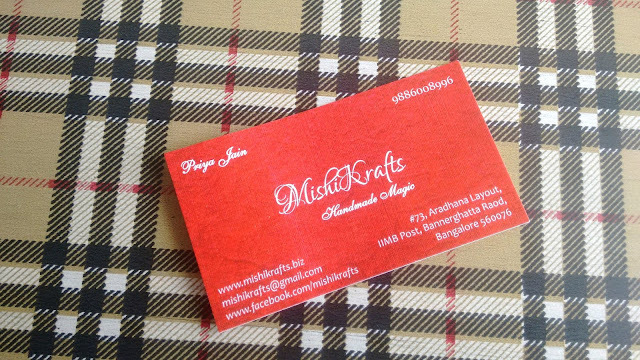 The founder of the brand, Ms. Priya Jain, handcrafts all the chocolates with utmost care. The brand offers many customising options so you can pick up chocolates for any occasion by having it customised accordingly with options starting from INR 50. For placing orders, check out brand's official Facebook page HERE. 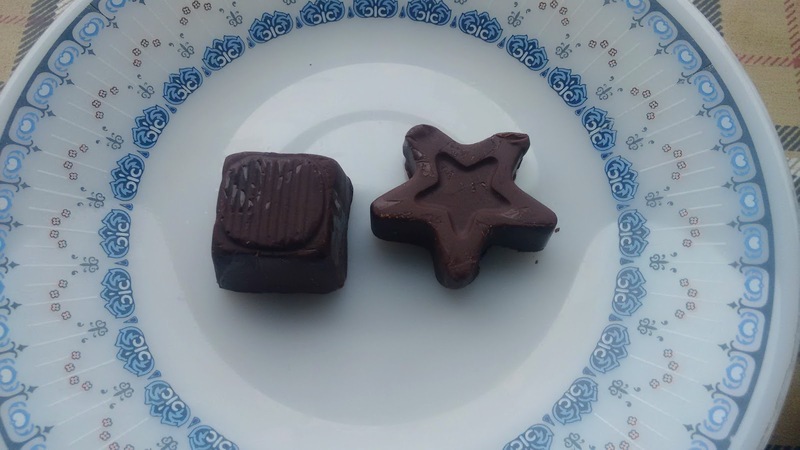 The chocolates that I bought are priced at INR 100 for 100 gm of plain dark chocolates and INR 150 for 100 gm of roasted almond dark chocolate. Dark chocolates are known to possess benefits for a healthy heart, weight loss, reduced stress, diabetes prevention etc. So, go munch away on these tasty treats.... but remember, moderation is the key! Disclosure: The products featured in this post are my own purchase and the views expressed hereby are strictly unbiased, based on my personal experience.